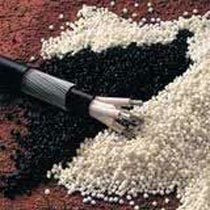 We are a well-renowned Manufacturer and Wholesale Supplier of PVC Compound in India. These PVC Compounds can be manufactured as per the customer's special requirements, like in transparent materials, lead free materials, and also in ROHS complied compounding materials. Our PVC Compound is available at affordable rates. We have the ability to formulate pvc compound for any type of requirement. Our company has full established laboratory for its R & D work for continuous improvement. Currently we are surviving our customers with cable grade compound, Moulding grade compound,Shoe grade compound, Coloured Master batches.